Check out the latest reviews on Amazon here! Building Biblical Worldview: The Three Loves explains why and how to create and sustain great Biblical worldview in all classes, for all grades. The concepts are simple, but deep and powerful. They come from God’s Word and stand the test of time. The Three Loves come before textbooks and systems. The can be used anywhere, anytime. The Three Loves are foundational, relevant, and give perspective to other programs and tools. The Three Loves bring purpose, joy, and depth to Biblical worldview in all classes, all of the time. Three big ideas in the book: What Biblical worldview is and why it matters. The model and how it works. How to grow in love for God, for students, and for subject to make a difference in student lives. Half-day, one-day, and two-day workshops are available to help faculty use The Three Loves. We also work with groups of school leaders so they can help their teachers, provide conference workshops, and coach individuals in person and long distance. Please write or call. Keynote address at Latin America teacher convention. The paperback edition is a great gift for school leaders and summer faculty reads! Or, as one school, consider a semester study of the ideas with all faculty. Group discounts: 25-49 for $7.50 each, 50-99 for $6.50 each, 100 or more for $5.50 each. Write joe@rootedschools.org. Workshop participants marry biblical truth with subject big ideas. 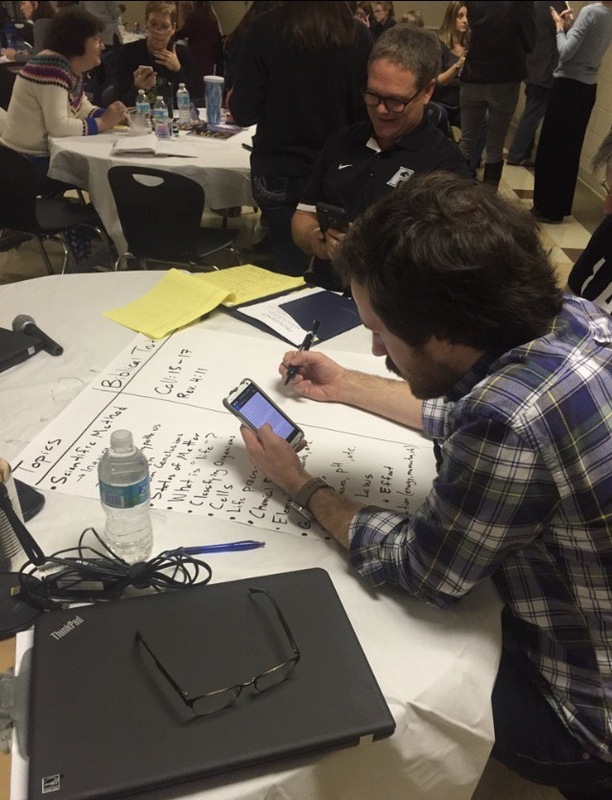 This recent two-day inservice helped faculty put the three loves to use in their classrooms and lives. Half-day, one-day, and two-day workshops are available. Rooted Schools serves Christian schools by helping make vision a reality and by supporting those who work with Christian schools. All with a bent to looking at God’s Word first for “how we do what we do.” Up next for publication in 2018: Ten Keys to Powerful Faculty Growth: A Supervisors Manual. Joe Neff introduces Building Biblical Worldview: The Three Loves in the brief video below. You can find out more about Joe’s background here. If you have questions, comments, or need help, please write Joe@RootedSchools.org. Join our list to keep updated on ideas and offers from Rooted Schools, a ministry serving Christian schools and the people in them! You have successfully subscribed. Thanks for letting us share ideas and updates of Rooted Schools ministry with you!